Vondie Woodbury is Vice President of Community Benefit for CHE Trinity Health System. Vondie is widely recognized as a national expert in community processes and innovative programming. 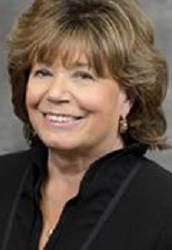 Prior to this appointment she was the Director of Community Benefit for Mercy Health Partners (Muskegon, MI) and, Executive Director of the Muskegon Community Health Project. One of the oldest community health networks in the nation, MCHP has been recognized for community innovation by the New York Times and Wall Street Journal. Vondie also served for 14 years on the staff of U.S. Senator, Donald Riegle as Director of Michigan Operations. She is a founding member and past Board Chair of Communities Joined in Action. She recently received CJA’s Mary Lou Andersen Lifetime Achievement Award which recognized her work in local community health improvement. A graduate of Grand Valley State University and Western Michigan University, Vondie lives in North Muskegon, Michigan.